If your furnace is not working as well as you would like and you want to do something about it, you are probably wondering where you should turn for answers. Getting your Trane furnace in good shape is vital if you don't want to waste money or face the cold months of fall and winter without protection. The good news is that the team at Swan can come to your location and make the required repairs in no time. Putting in our best effort, we give you dependable results that will make you smile. Seeing us in action lets you know you have made a wise choice by enlisting our team. Although several furnace repair companies exist, many people opt to trust our team instead of going to the competition, and you will soon know why. Our passion for the industry and commitment to client satisfaction allow us to provide high-quality and consistent results on which our clients can depend. The results we have given over the years have earned us plenty of positive reviews from the people we have served. We have even earned an A+ rating with the Better Business Bureau. Or, click here to schedule your Trane furnace service online. This section covers the repairs we perform when you come to us for help with your Trane furnace. We can solve small problems, such as dirty vents or a damaged thermostat. We can also repair any major issues you might have encountered with your furnace, and we will do what it takes to get it working without delay. We handle old and new Trane models, so you can come to us no matter what furnace you would like for us to repair. Some people overlook the importance of repairing their furnace because they want to save money, but their mistake costs a lot more over the long run. If you don't want to fall into that trap, make sure you take fast action at the first sign of trouble. A small problem can grow over time and become even worse, and it will be much more expensive to handle. Also, a damaged furnace can harm your budget and increase your energy bill each month. Looking at the big picture lets you understand that maintaining your Trane furnace is an investment that pays for itself as the weeks and months pass. In addition to stopping problems from progressing, repairing your furnace saves you money by making you energy-efficient. You will realize calling us is the best choice as soon as you discover the benefits to which you will soon have access. Many people are shocked when they learn how many advantages they can get by repairing a damaged furnace. You are now ready to uncover the many ways we can help you reach your desired outcome. Our process begins when you give us a call and request our assistance, and we will send someone to your door at a time that is convenient for you and your lifestyle. Speaking with you and listening to each word is how we uncover the problem, and we will then inspect your furnace to detect any hidden issues that could be present. Approaching the problem with an open mind and caring touch is how we offer the results you want and deserve. 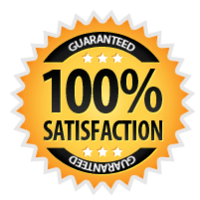 We give you the price in writing before we begin so that you know what to expect, and we offer a 100% satisfaction guarantee. Getting Trane furnaces working at optimal efficiency is our specialty, and it won't take you long to discover why the community turns to us for their Trane repair needs. Reach out to us right away so that you can discover how we can serve you, and we promise to point you in the right direction. You can put your worries to rest while we are on the job because you will know you are in the best possible hands. The steps we take ensure that we can give you dependable results you can trust, and your Trane should run well all winter. If you want to enjoy the rewards of working with a reliable furnace repair team, pick up your phone and call us today.